How it works: 1. First you create a project and how often you would like to work on it. An example of a project would be running, piano practice or learning Spanish. 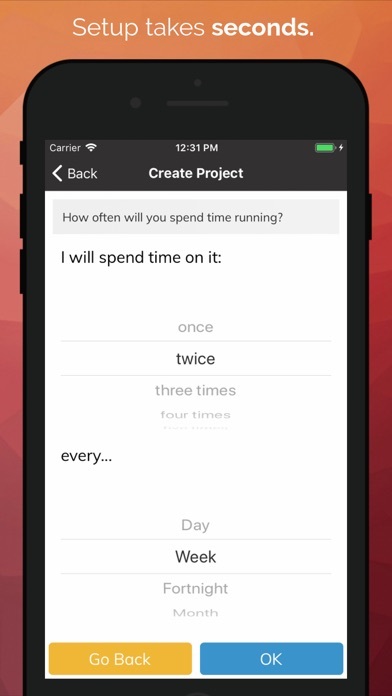 The app will begin to automatically schedule sessions for when you should spend time on your project. 2. 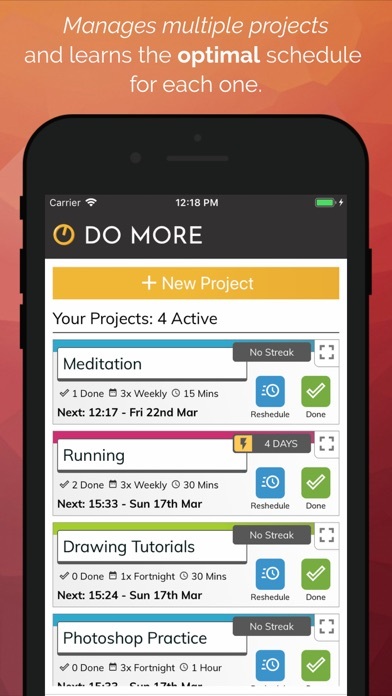 The app will encourage you, but if you donâ€™t have time, donâ€™t worry, simply reschedule with the press of a button. Every time you complete a session, register it in the app. 3. 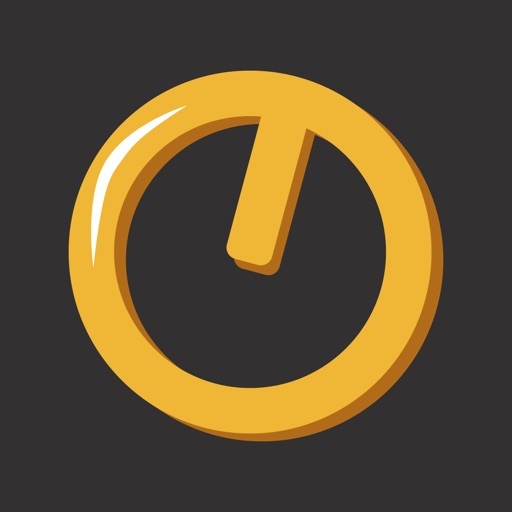 Over time the app will learn when the optimal time to remind you is in order to maximise your chances of completing the activity. 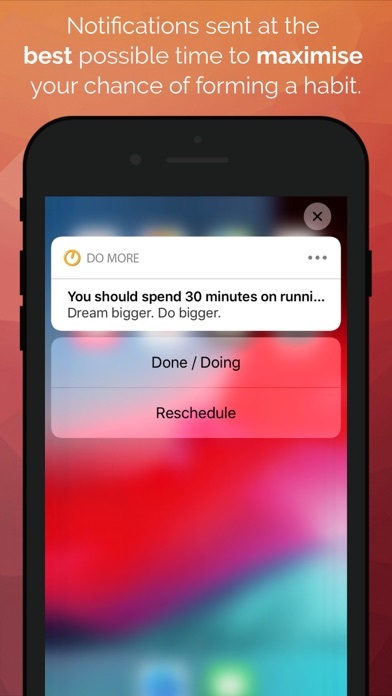 Do More works like a personal AI powered motivator who will hold you accountable and gently nudge you to complete the tasks at times when it makes sense to do them. Keeping track of your progress helps to motivate you to work harder. Our app works intelligently to help you achieve long term consistency. 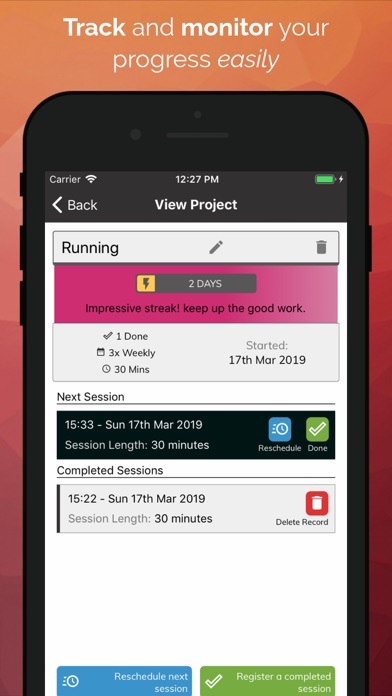 Once a habit begins to form you will become less likely to procrastinate and can use our app as a tool for measuring your success.